The Cagliari Palermo ferry route connects Sardinia with Sicily. 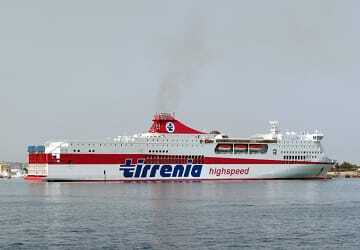 Currently there is just the 1 ferry company operating this ferry service, Tirrenia. 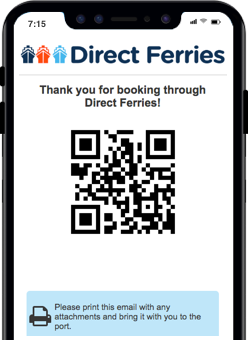 The crossing operates up to 2 times each week with sailing durations from around 12 hours. Cagliari Palermo sailing durations and frequency may vary from season to season so we’d advise doing a live check to get the most up to date information. Prices shown represent the average one way price paid by our customers. The most common booking on the Cagliari Palermo route is a car and 2 passengers. Similar experience to Civitavecchia to Olbia. "Cagliari - Palermo: a 12 hour crossing"
The trip from the port of Cagliari at 19:30 was magnificent. Cagliari offers great views in the evening. We dined quietly in the restaurant on board. Unfortunately, the TV in the area where the reserved seats are located is left on for too long, which makes the room noisy. In the morning, you still get time for a cup of coffee. Then admire remote Palermo as the ship arrives. At 07:30 we arrived in Palermo. A 12 hours crossing with not that many hours of sleep.